At the recent SQLSaturday #28 in Baton Rouge, LA, I had the opportunity to meet Wes Brown (Blog | Twitter), and attend his session on “Understanding Storage Systems and SQL Server”. I enjoyed his presentation and also discovered that Wes has a blog where he shares his deep knowledge of SQL Server I/O. If you are interested in learning more about SQL Server I/O, his blog offers useful posts, presentations, and some software tools he has written for himself. For example, he has a Disk Drive RAID Configuration Tool that you can use to help give you an idea of RAID performance based on drive characteristics and other factors. 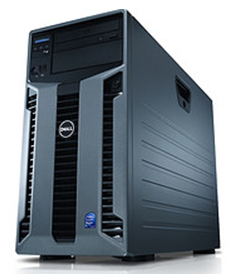 –One PowerVault MD3000 DAS with two, dual-port controllers, and 15 146GB 15K SAS drives. 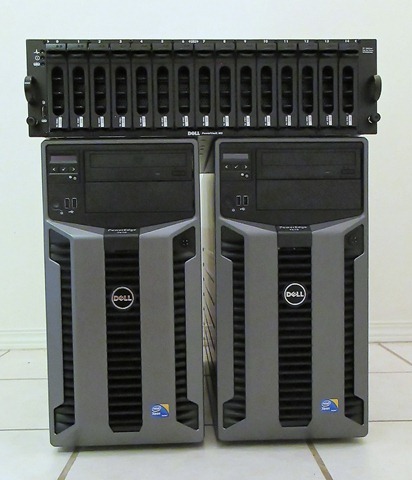 –Two identical Dell T610 Towers, each with a single, 6-core CPU (Intel Xeon X5670, 2.93 Ghz, 12M Cache, HT, 1333MHz FSB); 32GB 1333MHz RAM; a PERC H700 RAID controller; two 146GB 15K SAS Drives; one HBA (to connect to the DAS); and dual network connections. Several weeks ago I wrote a blog post called “What is the Ideal SQL Server Test Box?” At that time I was putting together the specs for a test SQL Server box I hoped to be able to get for my home office. While a laptop is great for giving SQL Server presentations, it’s not the greatest for testing and stressing SQL Server. And while I do have access to some large SQL Server boxes via remote access, I am limited to what I can do on them. So what I really wanted was my own test box that I could reconfigure as needed for testing and benchmarking. I’m in the process of putting together a SQL Server hardware inventory/audit checklist for an upcoming book project. The purpose of this list is to provide a comprehensive listing of all the important information about the components of a physical server used to run SQL Server. Besides collecting hardware information, it is also designed to collect some configuration information that may be of importance for SQL Server performance and high availability.